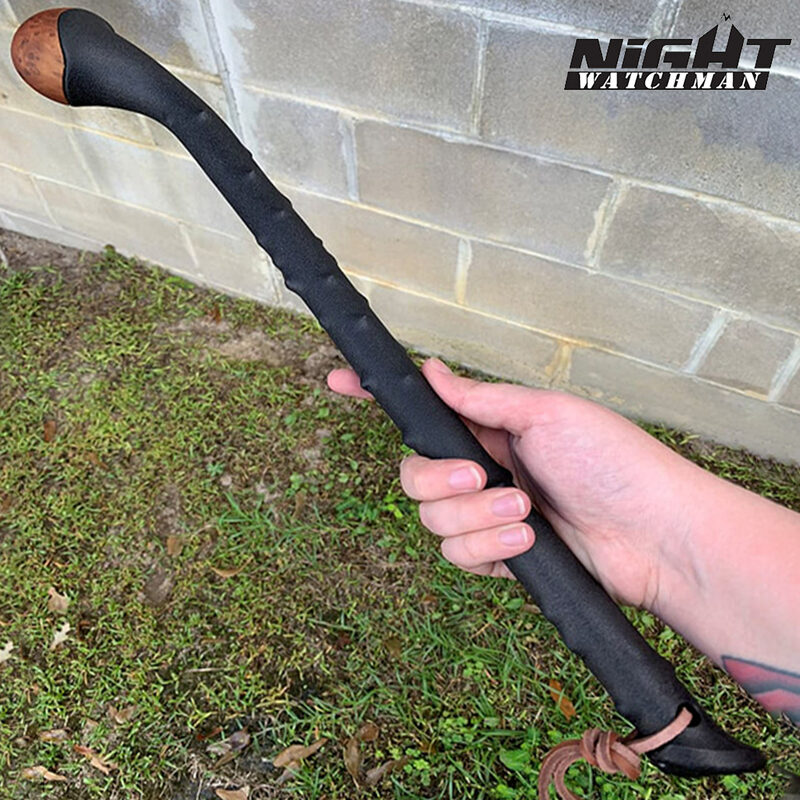 Night Watchman Blackthorn Shillelagh Fighting Club | BUDK.com - Knives & Swords At The Lowest Prices! 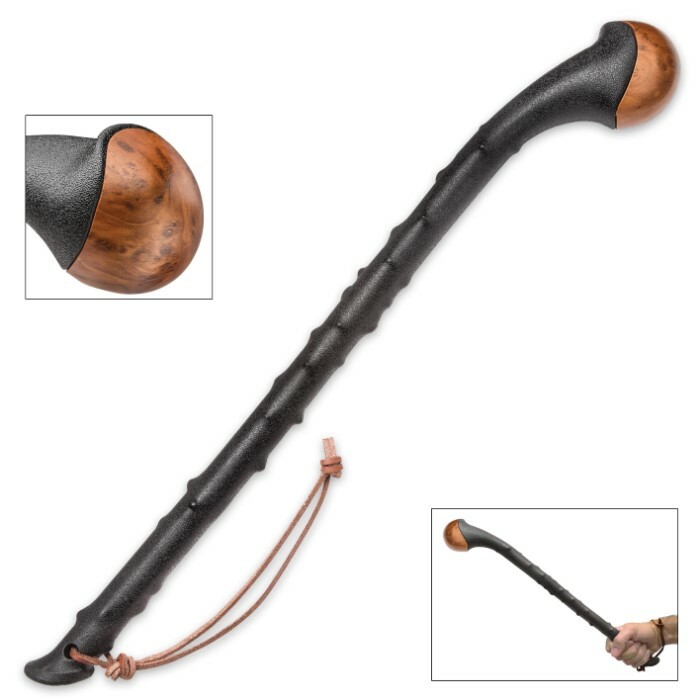 The self-defense experts at Night Watchman recreated the traditional Blackthorn Shillelagh fighting stick in dramatic detail with its acclaimed shillelagh fighting cane and now they give you the Shillelagh Blackthorn Fighting Club. 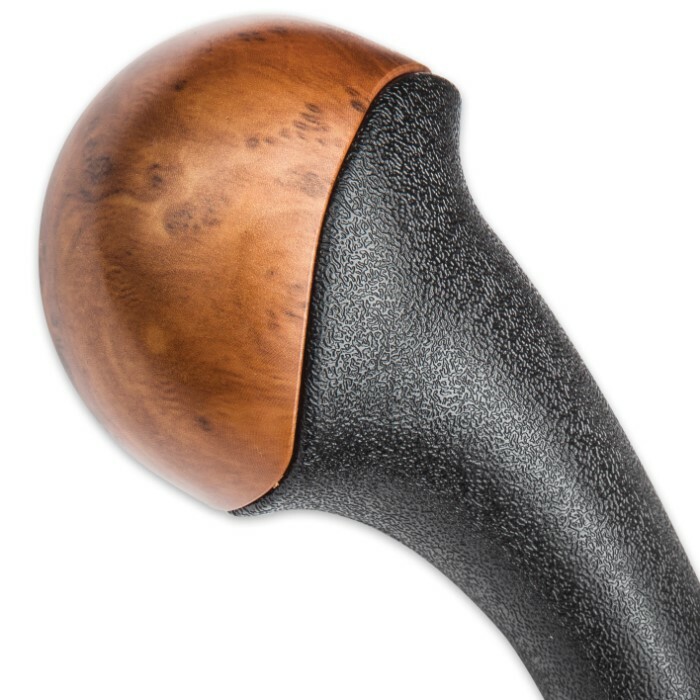 It is also crafted in a traditional shillelagh design, complete with gnarled accents to emphasize the knotty quality of genuine blackthorn wood. The club is made with molded polypropylene with an impact resistant faux wood cap, just like its bigger brother. The only difference is the convenient to carry, compact size and the convenient leather lanyard to give you a secure grip when wielding it! Looks like the real thing, but made of polypropylene, it should last forever. 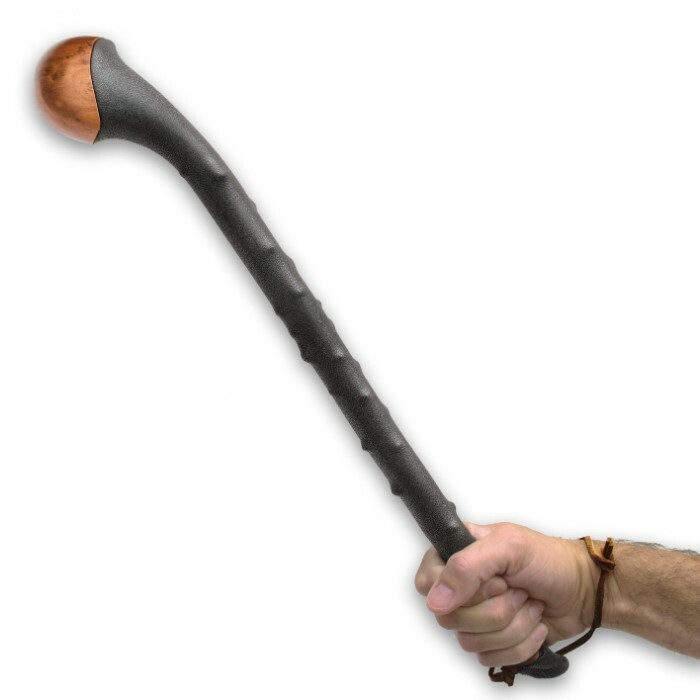 I have the shillelagh walking stick too. I highly recommend both of them. Nice weight, feels good in the hand, seems to be very sturdy. Not sure how the faux wood head would hold up to abuse but then I dont plan on abusing it. In my opinion if I ever need to use it, and it does its job (and it appears that it would) then it is a winner, whether it receives some damage or not.